Today is Maundy Thursday (Maundy meaning command) which refers to Jesus command for his followers to love as he loves them and the world. “I give you a new command: Love each other. You must love each other as I have loved you. All people will know that you are my followers if you love each other.” There was a lot of love uniting people all over the world on April 17, 1970. Love that isn’t often felt unifying people from all parts of the world looking into the heavens. 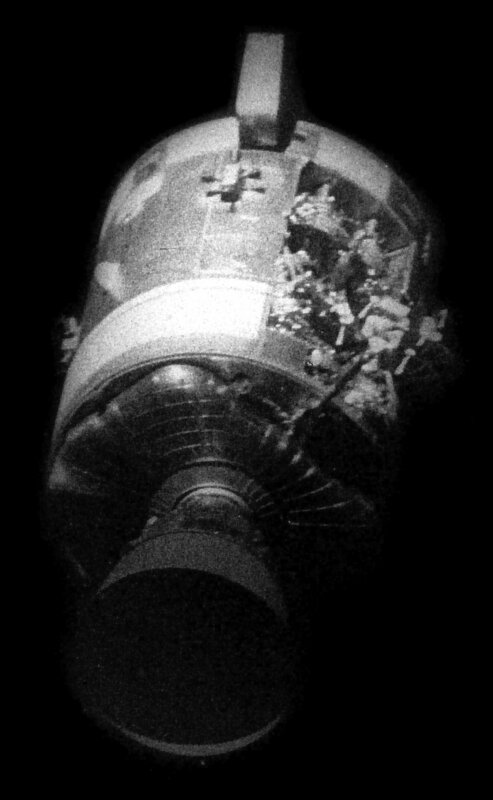 The world anxiously watched as, Apollo 13, the lunar spacecraft that suffered a severe onboard malfunction on its journey to the moon, safely returned to Earth. Due to an explosion it was discovered that the normal supply of oxygen, electricity, light, and water had been compromised. The mission was aborted, and the astronauts and controllers on Earth scrambled to come up with emergency method of getting the crippled spacecraft around the moon and back on a cold journey to Earth. There would be no moon walks this time. But on April 17, tragedy was averted as the Apollo 13 astronauts touched down safely in the Pacific Ocean. These brave men and women of the space program risk their lives in hopes that we will learn to take care of our planet and advance the human race in such a way that we will peacefully coexist. Jesus certainly desired that we would use love as the instrument of world peace and harmony. In a sense we earthlings travel through the universe on this space-ship earth. We are stewards of what belongs to God. We are mere caretakers of the garden that belongs to our master. We should want to do a better job. I believe that Jesus wants us to do a better job with the earth and with each other. We don’t need to travel to the moon to make this discovery but Apollo 13 certainly reminds us that we need each other and that when we cooperate we can achieve much more than we can alone. This entry was posted in denny meyer, life coach, Sonrise Coach, Spiritual Coach - Denny Meyer, spiritual coaching, spiritual director and tagged Apollo 13, coach denny meyer, denny meyer, Maundy Thursday, pastor dennis meyer, spiritual coach, spiritual coach denny meyer, spiritual coaching. Bookmark the permalink.